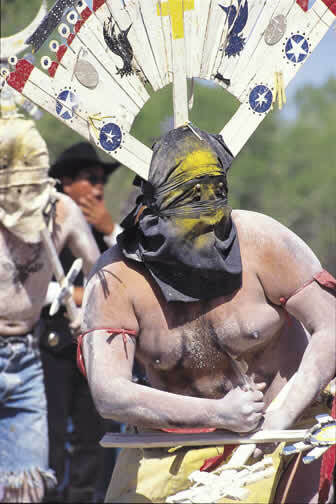 The Mountain Spirits known to the Western Apaches as Gaahn have profound religious significance. The Gaahn reside at special mountains such as Dzil Nchaa Si' An (Mt. Graham) and provide spiritual guidance, health, and direction in the Apache lifeway. Among many other powers, during the Sunrise Ceremony the Gaahn provide to the young Apache changing women health, wisdom, and a spiritual connection to guide them throughout their adult lives. Extensive documentation of Apache opposition to the telescope from 1989 to 2001. Compiled by Apaches for Cultural Preservation, the Apache Survival Coalition, and the Mt. Graham Coalition. Ola Cassadore Davis' July 28, 1999 Testimony to the United Nations' Sub-Commission on Prevention of Discrimination and Protection of Minorities, Working Group on Indingenous Peoples. 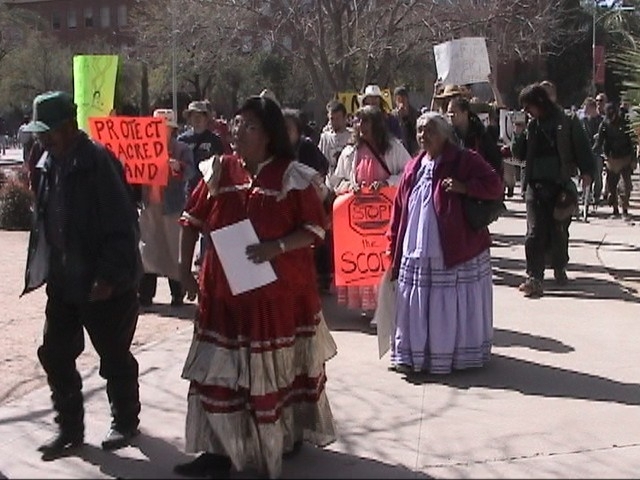 Ola Cassadore Davis is an enrolled member of the San Carlos Apache and the Chairwoman of the Apache Survival Coalition. UA demands Native Americans obtain prayer permits 48 hrs. prior to praying on Mt. Graham. Mount Graham Coalition News Release, August 13, 1998. Astronomers, politicians, and federal employees desecrate the holiest mountain of the San Carlos Apache. By Peter Warshall. Reprinted with permission from Whole Earth No. 91, Winter 1997. Organization founded by Wendsler Nosie Sr. and Ernest Victor Jr. to educate young Apaches about Apache history and traditional Apache ceremonies, songs, language, foods, spirituality, and sacred sites.